Barcodes are everywhere: products, loyalty cards, packaging labels, library books, you name it. With one scan of these striped bars, light energy is converted to electrical energy, which is converted to powerful data that can give you everything from inventory management to consumer awareness. 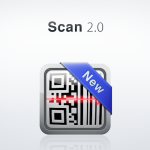 Today many businesses and consumers use barcode scanning apps to access this information from their iPhones. Barcode scanner apps have proven extremely popular among consumers, especially during peak shopping seasons. Inventory management: When you use barcodes, your inventory control greatly improves and allows you to stay on top of where your items are located and how much stock you have. Any inventory item from products you sell to supplies and raw materials can have barcode labels, which translates to lower overhead and higher accuracy. By using inventory management software, businesses reduce the time and efforts previously put into basic tracking, and instead focus on analyzing, finding and reducing inefficiencies in their model. Asset Tracking: All businesses have IT assets and fixed assets, which includes items like PCs, laptops, cameras, and projectors. (This doesn’t flow with the subject of asset tracking) By placing barcodes on these assets, they can be easily checked in or out with a simple scan. It’s a great way to make audits easier and improve accountability in your company, while saving your company money otherwise spent on lost assets. Ticketing Needs: Add barcodes to any kind of ticket and when it’s returned, you can easily locate account information which will prevent error and fraud. These apps are typically included with ticket creation and scanning software, allowing you to use your mobile device to scan tickets for your next big event, immediately sending that data back to your software program for easy access. Avoiding human error: A barcode scan can get you fast and reliable information and frees up your workers to focus on other important tasks. It also eliminates the high occurrences of errors made from manually entered data. Consumer awareness: Consumers can use barcode scanning apps to find more information and compare product pricing and reviews. Simply scan the product barcode while shopping and instantly receive feedback on other competitor pricing, previous purchaser reviews, and details about the product. When you turn your barcode scanner into solutions available on phones and tablets, it becomes much more accessible and easier to use. 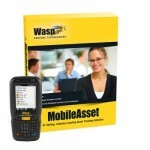 In an instant, your inventory and assets will be converted to an electronic file. It will be easily retrievable and at your fingertips. Businesses and consumers have several options to choose from when searching for the right barcode scanner app for their business or shopping needs. If the thought of downloading one more app to your smartphone deters you from adopting barcode scanning apps, simply use a Wireless Bluetooth Barcode Scanner. Below, we have compiled a list of what we think are the best barcode scanner apps available for your iPhone device. Create and scan QR codes and barcodes. 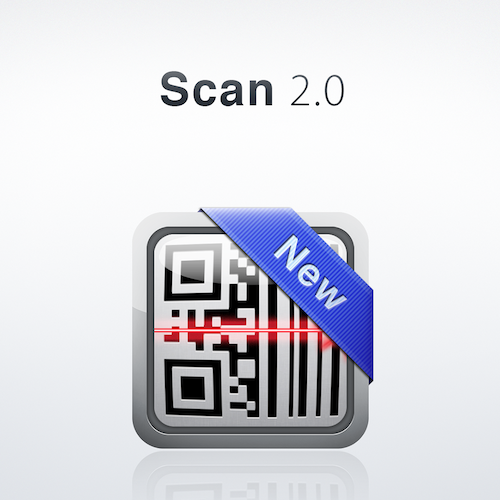 The Scan 2.0 barcode app for iPhone brings real-time button creating to life. From “Buy Now” buttons to surveys, you can easily connect with anyone using the power of QR codes. Use the barcode scanner (iPhone 3GS and later) to quickly and accurately scan barcodes on books, movies, games, groceries and practically any retail product! Use the search feature on legacy iPhones, iPad and iPod Touch to search our massive and growing product database. With its lightning fast scanner, Bakodo makes a great tool for everything QR Codes. Send e-mail, make a call, add a contact to your address book, or open a location in a map – without ever having to leave Bakodo. 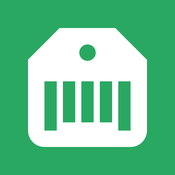 ShopSavvy is a free barcode scanner app for iPhones that allows consumers to quickly look up market and pricing data regarding items they are interested in purchasing. ShopSavvy also offers price alerts to ensure you know when the price goes down on items that you desire. 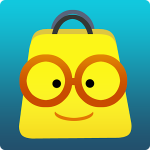 Smoopa Shopping is a social sharing barcode scanner app that lets users share the products they love and earn rewards for purchases. Rewards for purchases can be redeemed for gift certificates at Amazon, Walmart or through PayPal. You’ll find a lot of bloggers and Pinterest users taking advantage of this app to share local pricing through the Smoopa Shopping app. Access the power o f MobileAsset, from Wasp Barcode Technologies, on your iOS smartphones and tablets with the MobileAsset App. Know what assets you have, where they are, and who has them at all times. Check assets in or out to employees or customers with the click of a button. Capture signatures and images on your device to ensure quality controls. MobileAsset is the leading fixed asset management solution for small business; with all the functionality you need at an affordable price. With unlimited US-based technical support, free “Getting Started” training, and a 30-day unconditional return policy, your business can achieve ROI in a matter of weeks. How would using bar code scanner apps help your employees track inventory more accurately?